The clubhouse features a comfortable dining area and a stunning wood bar -- just right for your pre-round lunch or after-round celebration. Or you may wish to relax on the covered patio while you watch fellow golfers drive up the fairway. 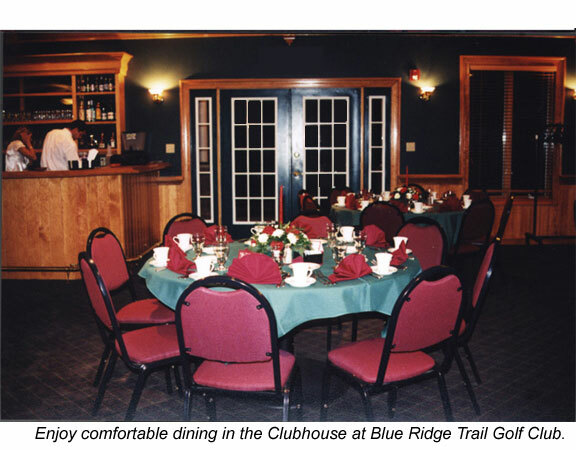 For more information on the Blue Ridge Trail Clubhouse Please call us at 570-868-4653. The Clubhouse also houses the men's and women's changing areas and the Blue Ridge Trail Golf Club Pro Shop. Here you'll find the best names in golf apparel, shoes, balls, and other merchandise. 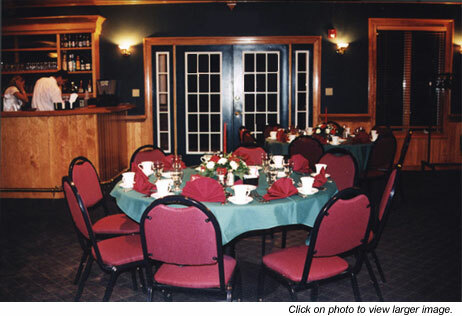 Our Clubhouse is open seven days a week during Season Sun up to 10:00 PM and always open to the Public. Attention to detail for your special occasion!